Today we’d like to introduce you to Dr. Stephanie Higashi. Thanks for sharing your story with us Dr. Stephanie. So, let’s start at the beginning and we can move on from there. When we took over a pre-existing practice chiropractic office 17 years ago, we found that a high percentage of patients were suffering from complaints that were the result of side effects of multiple, often conflicting, medications from multiple doctors. One woman, a college student, had been prescribed over 22 different medications from the medical professionals she was seeing. As a result, coordinating with a patient’s doctors and adjusting or eliminating medications that were conflicting was often necessary. Seeing this pattern over and over we realized that truly helping our patients achieve optimum health required a comprehensive integrated approach. Our effort to develop an integrated approach gradually evolved to where we now offer a full range of medical, chiropractic, acupuncture, physio-therapy, therapeutic massage, nutrition counseling and diagnostic testing, all under one roof. Since the growing need for integrated health care is larger than our practice can service, we decided to offer franchise opportunities to other medical professionals. There is a real need for integrated health care and with the business formula, training and marketing support we are able to help other medical professionals more effectively help people as well. Historically, medical and chiropractic disciplines are diabolically and philosophically opposed to each other. One prescribes medication and the other tries to avoid medication. Trying to integrate these different indoctrinated professionals to work together occasionally lends to debate about the best approach. Creating an environment of mutual respect, collaboration and a willingness to listen to each other better care has been achieved. So, let’s switch gears a bit and go into the Health AtLast story. Tell us more about the business. We are one of the first multi-disciplinary health care franchise network of offices offering integrated care to patients. We bring providers together to provide better care to the public. Each clinic offers medical, chiropractic, acupuncture and massage therapy to our patients. We specialize in natural approaches to care and finding solutions whenever possible to conditions without the use of unnecessary drugs and surgery. 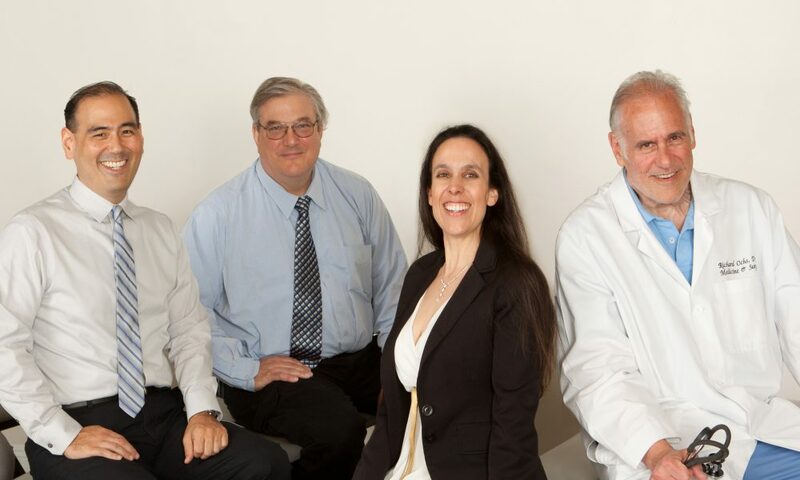 We are known for wonderful clinics that treat patients like family, with staff and doctors that care. We usually offer same day appointments with little to no wait. We’re also known for care and treatment that provides real solutions with doctors that listen and work with patients to create long term health, happiness and function. We are most proud of results in our patients. We have seen patients come in wheel chairs and leave walking, we have seen patients scheduled for surgery that were able to cancel the surgery and never have surgery. We are proud to see our patients bring not only themselves but their spouses, their children and even grandchildren over the years. What sets us apart: In today’s age of specialization it is common for patients to see multiple health professionals. While this results in excellent care within a specialty, the unfortunate result is often an uncoordinated approach to the patient’s overall health concerns. One result is that patients are often on multiple medications, prescribed by multiple physicians. This can result in complains and conditions that are the result of conflicting medications. HEALTH ATLAST brings the best of Western and Eastern medicine under one roof in an integrated approach to health care. HEALTH ATLAST offers a full range of medical services including; examination, diagnostic testing and a wide range of medical treatments. We integrate chiropractic, osteopathic, physical therapy, acupuncture, physio-therapy, therapeutic massage and nutritional counseling. For many patients, a key service is coordinating all of their health care providers to eliminate unneeded or conflicting medications that may be causing unwanted health effects. The industry will begin shifting away from polypharmacy and overprescribing, and toward a more integrated focus on healthcare and patient results. We’ll begin to find the root cause of an ailment and treat that, rather than just treating the symptoms. In a busy city like LA people are over scheduled and tired of being stuck in traffic. Health Atlast has convenient locations, parking and hours. We see our patients when they need to be seen and we bring all of the needed providers to the patients instead of the patients having to go to 5 different locations. LA is one of the greatest city that has great weather and people want to be healthy, look great while out on the beach and Health Atlast helps ensure people are able to stay active and feel good while doing it. There is a very real and growing need for an integrated approach to health, especially in Los Angeles, a city which offers a wide array of some of the best health providers and specialists in the world. Specialization is the natural result of the rapid growth of medical technology in recent decades. As a result, today’s General Practitioner, the family doctor of old, has pretty much become the patients source for physicals, general health concerns and referrals to specialists. And, while the GP refers patients to specialists, they do not coordinate services between specialists. And that’s what creates the need for HEALTH ATLAST’s approach to integrated health care. There is a very real and growing need for health providers, like HEALTH ATLAST, to offer multiple disciplines, in an integrated approach, under one roof while acting as an advocate for the patient by coordinating the medications that are prescribed by multiple doctors.